How to Unlock the Bootloader, Flash TWRP and Root Redmi 3S/3S Prime. Redmi 3S/3S prime was one of the most sold device online. Both the devices have superb specifications and provide everything what an average smartphone user demands in the budget segment. They have a powerful processor, decent Display, Great battery life and pretty decent cameras. But it is an entry-level device, and Xiaomi doesn’t make any promises regarding their OS updates. Still, there are ways for getting your device updates, you need to Unlock, Install TWRP recovery and root your phone. So after Rooting, you can install Custom ROMS and can get the latest Android version. Follow our guide How to Unlock the Bootloader, Flash TWRP and Root the Redmi 3S/3S prime. Warning: Flashing may potentially brick or boot loop your device. Follow the guide at your risks. 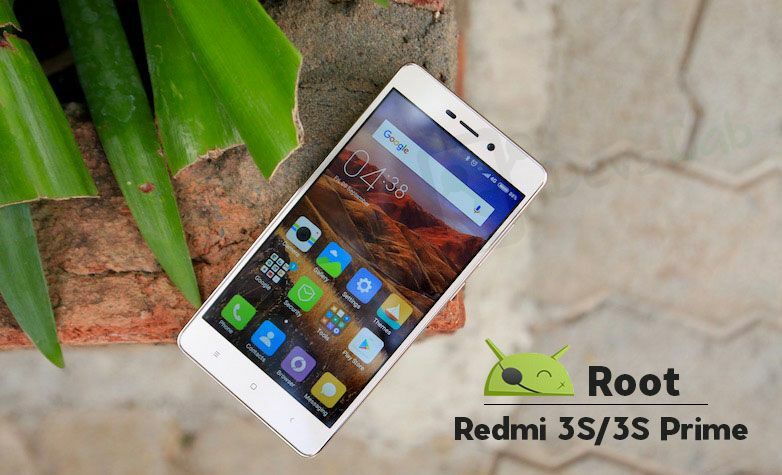 This root method is only for Redmi 3S/ 3S Prime. (Chipset: Snapdragon 430). 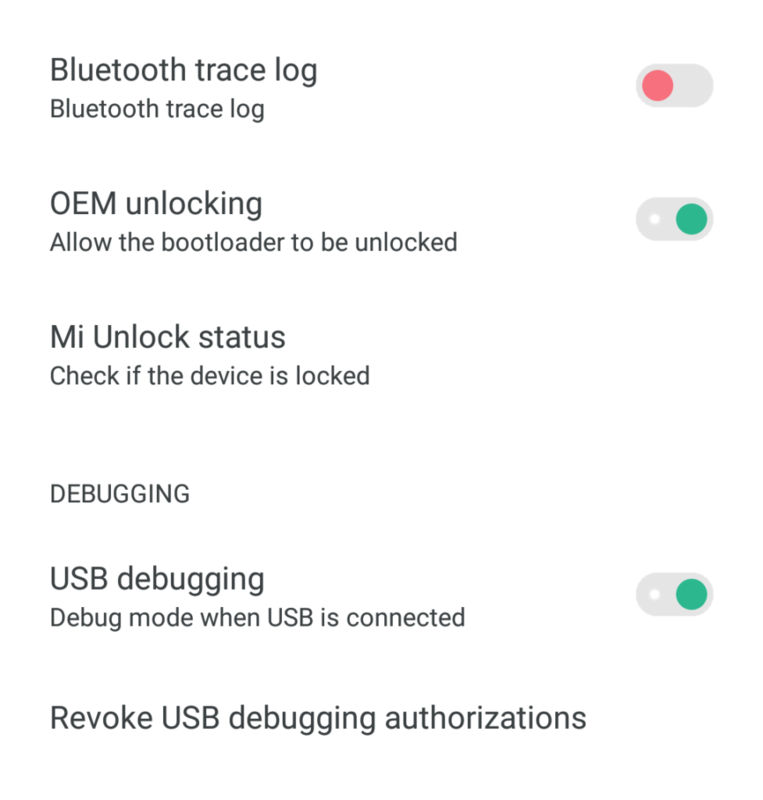 Apply here: http://en.miui.com/unlock for Bootloader unlocking, enter your Mi account details associated with your redmi phone. 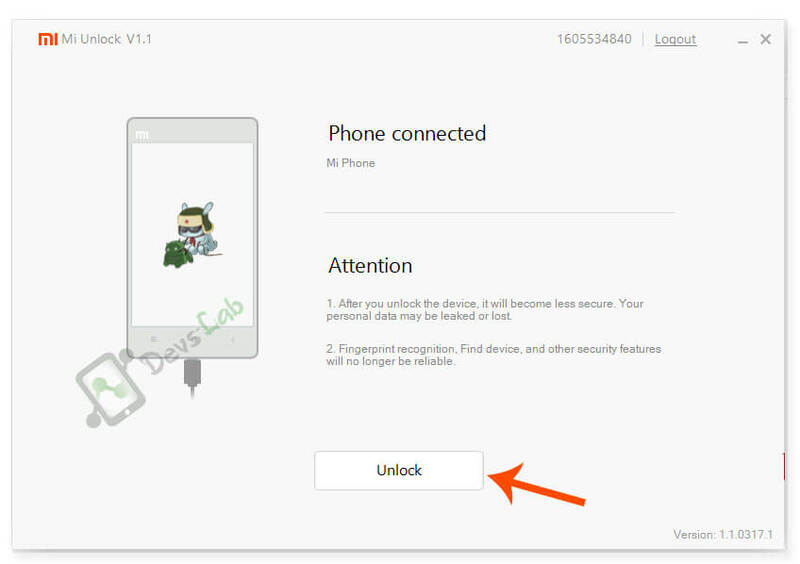 Then enter the OTP, that has been sent to your registered mobile, to get the Unlock permission. Go to the Settings > About phone, then tap MIUI version 7 times to enable Developer options. Backup all your Data on the Device or your will be lost. Step 2. Run the MiFlashUnlock.exe with administrator rights and sign in with your Mi Account associated with the device. Step 3. Turn off your phone manually, and hold Volume down the key + Power button to enter Fastboot mode. Step 4. Connect your phone to PC using USB cable and click on the “Unlock”. Step 5. Once the unlock process has completed, just hit the reboot phone. Step 1. Download TWRP from the link and place it in the ADB installation folder. Also, Download Super su.zip and place it the Device storage. Step 2. Shut down your phone, and hold Volume down key and Power button to enter Fastboot mode. Step 3. Connect your Phone to PC using USB cable. Step 4. 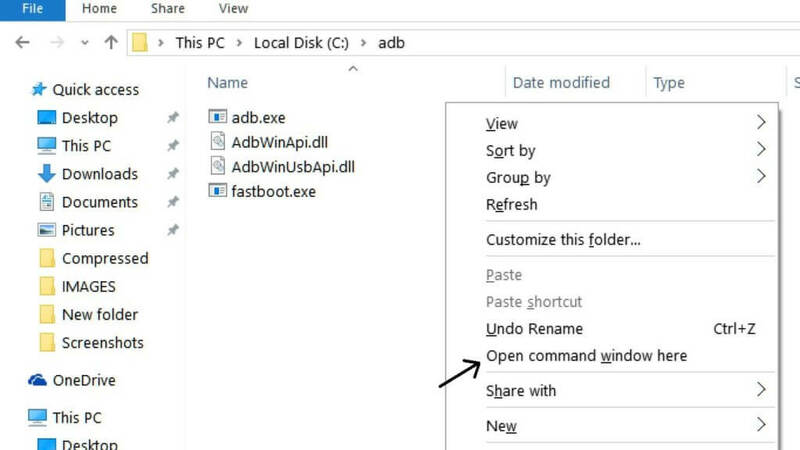 Open ADB installation folder and Simultaneously Press the Shift key while right-clicking then Select Open command window here. Step 5. Now enter the following command “fastboot flash recovery twrp.img”. This command installs the TWRP recovery. Step 6. Now enter the command “fastboot boot recovery twrp.img” to boot into TWRP recovery. Step 7. After the process, you will end up in TWRP recovery on your phone. At the first time, it will ask for the modifying system or keep it read-only. Step 8. Press Read only and Now in TWRP make a backup of your current ROM, before allowing the modifications. Step 2. Press Install option in TWRP and locate to the Super Su.zip on your device. Step 3. Confirm to flash SuperSU, once the flashing process is completed tap on reboot. Step 4. First boot may take longer time so be patient until the devices reboot. Step 5. 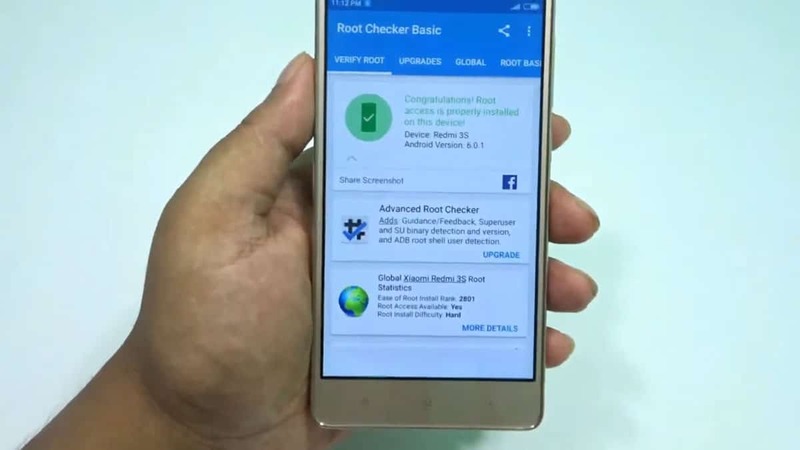 Install Root Checker to confirm the root on your device. Follow us more Device specific rooting Guides. If you have any doubts, please Comment below.